NEW YORK (CNS) — Strong pro-life values are embedded in the towering, richly complex Marvel Comics-based adventure “Avengers: Infinity War” (Disney). While this often-dazzling, sometimes-dizzying epic is safest for grown-ups, its positive moral lessons may lead at least some parents to deem it acceptable for older teens as well. The film’s ethical stance can first be read through the principal aim of its outsized villain, slaughter-loving tyrant Thanos (Josh Brolin). He cherishes a long-standing scheme to bring his version of harmony to the universe by wiping out half its population, thus freeing up scarce resources for the survivors. This maniacal goal is based on Thanos’ sincere — but obviously wildly misguided — assessment of the fate that befell his place of origin, Saturn’s moon Titan, whose civilization was destroyed, according to his account, by overpopulation. Foreseeing a similar outcome for the cosmos as a whole, Thanos believes his theoretically laudable purpose: to establish a sustainable paradise, will justify his cataclysmic methods. Fortunately, neither the Avengers nor the Guardians of the Galaxy agree. So they team up to thwart him. To gain the necessary power to accomplish his plan, Thanos needs to collect a set of supernatural gems called the Infinity Stones which, once assembled, will give him control over all reality. So the array of good guys — who are too numerous to name but include, perhaps most prominently, Robert Downey Jr.’s Iron Man, Benedict Cumberbatch’s Dr. Strange and Chris Pratt’s Star-Lord — make it their business to stop him. Throughout the ensuing struggle, Thanos’ opponents consistently refuse to sacrifice anyone on their side for the sake of their larger objective, a principle embodied in the motto “We don’t trade lives.” Thus co-directors (and brothers) Anthony and Joe Russo’s mesmerizing saga drives home the message that the common good is not to be achieved at the price of any individual’s innocent life, much less those of a multitude. Less substantial, but perhaps more surprising, than this theme of ends and means is a fleeting reference to Jesus that some will find ultimately faith-affirming, others too frivolous in tone. On a purely aesthetic level, an outstanding cast in top form, together with clever self-parodying dialogue in Christopher Markus and Stephen McFeely’s script make the two-and-a-half-hour-plus run time pass quickly. 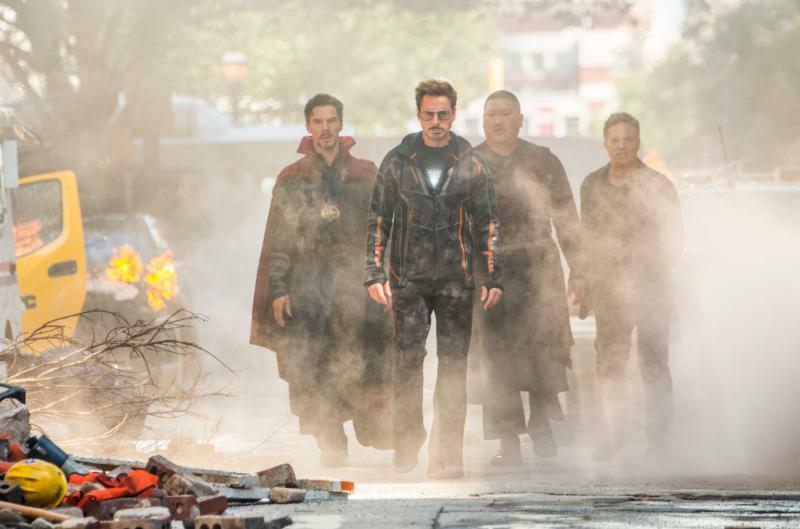 And then there’s the unthinkable wrap-up, a denouement so shocking it will certainly draw gasps of surprise — and may even leave devoted fans of the Marvel universe beside themselves with frenzy. The film contains much harsh but mostly bloodless violence, a couple of mild oaths as well as several crude and numerous crass terms. The Catholic News Service classification is A-III — adults. The Motion Picture Association of America rating is PG-13 — parents strongly cautioned. Some material may be inappropriate for children under 13.